I had the pleasure of joining Mark Sevco, from the University of Pittsburgh Medical Center for a presentation at TMA’s 7th annual People in Healthcare Summit. This event brought together senior talent professionals from the top health systems around the country. Our presentation was on: Building a New Hospital, and a New Culture – Lessons Learned. UPMC is a fully integrated health system with over 60,000 employees and 20 hospitals. 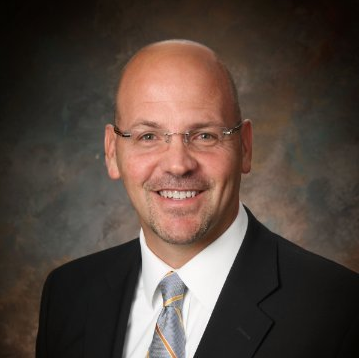 Mark is President of UPMC McKeesport and UPMC East, the system’s newest campus. He’s also actively involved in UPMC’s international work. Mark and his team had the unique opportunity to build a new hospital, and new hospital culture, from the ground up. That new campus now has top employee engagement and patient satisfaction scores -and not by accident. Mark’s team took the position that EVERYTHING starts with employee engagement. It’s not merely a “program” but the core of their success. Engaged employees are more productive and ensure an improved patient experience and achieving organizational goals. Employees who are most engaged are 87% less likely to leave the organization. $300 Billion – The estimated cost to US businesses due to low productivity of actively disengaged workers. 52% gap in operating incomes between companies with highly engaged employees and companies whose employee have low engagement scores. Hospitals scoring in the top 20% on employee engagement significantly outperform the bottom 20% when looking at patient satisfaction percentile ranking. Learn how to build behavioral traits into your talent strategies, from leadership to frontline staff. Learn how to combine high tech with high touch. Learn the value of building EVERYTHING around employee engagement. A culture of engagement cannot be a vague concept. It needs to be clearly defined, understood, lived each day, and woven into the vision, strategy, and goals of the organization.